Pop-up signup forms help you connect with the people who visit your website. Use the pop-up form editor to design and customize a pop-up form. Add a special offer or discount to help grow your audience and boost your sales. 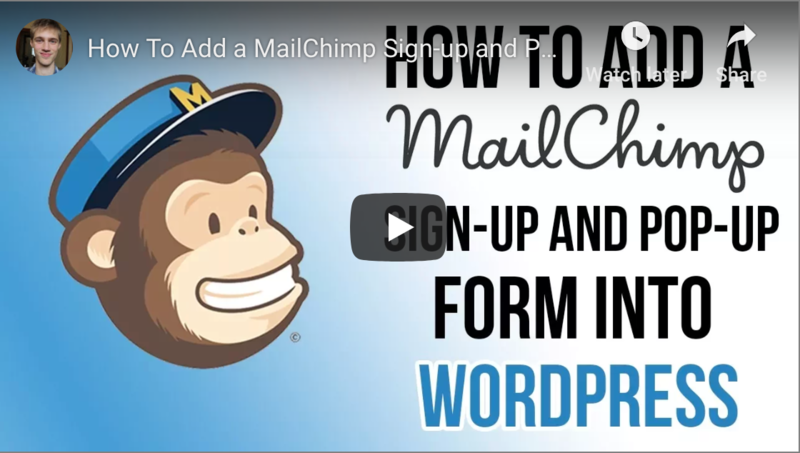 If you have already set up a Mailchimp account, this video can walk you through the simple first steps of creating a subscription popup for your website. For the most simple method use a snippet plugin. Install and activate the ‘WP Coder' plugin through your dashboard and paste the code using the “Wow Plugins' > ‘WP Coder' on your dashboard menu. If you're a little more tech savvy and want to experiment a little before paying for a more advanced subscription service you can also try ‘Popup Maker.' This plugin option offers more control in relation to cookies and targeting, even with a free account. If you've given either of these a try let us know on social media, and feel free to share with your friends and followers! BUSINESS TOOL March forward with modern security!